With Onkaparinga being known for luxurious bedding for over 145 years, it is no surprise that that our Australian Brand is still today, providing supreme Australian Wool products to Australian families. Learn more about our Australian wool quilts. The Onkaparinga Australian Wool blankets have been part of a lot of Australian households since back in the 1800’s and are remembered by many. 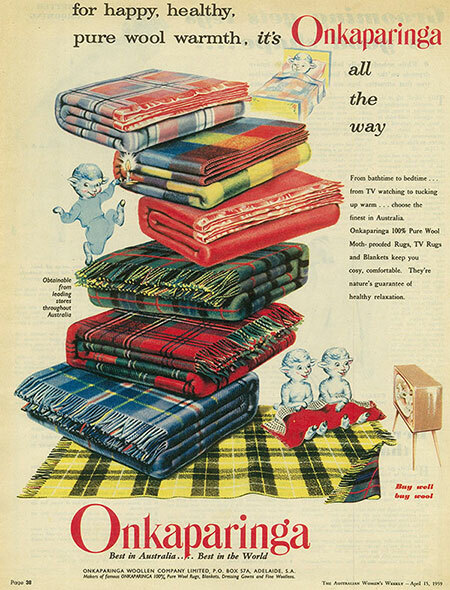 Our grandparents remember the Onkaparinga name and the old advertisements for blankets and dressing gowns, and our parents, or even ourselves remember being wrapped in our Onkaparinga wool blankets on a cold night. With a new chapter in Onkaparinga’s history, an obvious addition to our collection was Australian Wool Quilts. The washable Australian Wool is the quality you would expect from the iconic brand. With two styles to suit your needs available now. The Onkaparinga Winter Weight quilt gives superior warmth on the coldest nights. 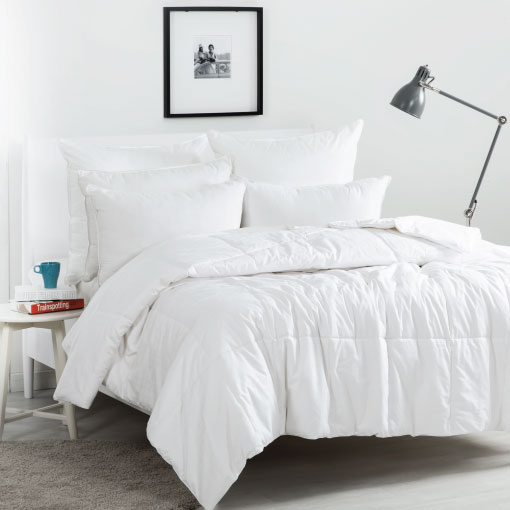 The Onkaparinga Winter Weight quilt has a premium cotton sateen casing and soft, washable Australian wool filling, this quilt will provide a luxurious night’s sleep for your family members all year round. Mid to heavy weight warmth and comfort, cotton cover, machine washable and comes with a 5 year warranty from Onkaparinga. Available online HERE or exclusively at Harris Scarfe stores nationally. 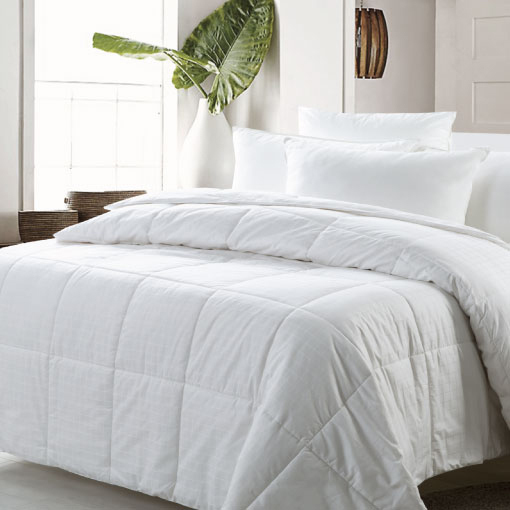 Our All Seasons Wool Quilt provides supreme comfort for all seasons. With premium cotton sateen casing and washable Australian wool filling, this quilt will provide superior comfort all year round. After over 145 years in the industry, Onkaparinga is proud to still be providing luxurious bedding and homewares products with all the quality and comfort you would expect from one of Australia’s oldest brands.